Throughout the U.S., marijuana laws have been going through a lot of changes in recent years. From total legalization to medicinal marijuana. Cannabis is becoming increasingly available to the American public, including marijuana patients. However, there is one very important group that is not getting the access to marijuana that they need: researchers. It may seem peculiar, but scientists often have a hard time getting marijuana for medical research. It is easier for marijuana patients to obtain cannabis to help with their various ailments, than researcher to study. The scientific community and a number of politicians are speaking out about the lack of cannabis available for research opportunities. As marijuana becomes more available, many believe it stands to reason that there should be more research on its health impacts. Additional research on potential medical benefits and other scientific studies should also occur. And because so many Americans can get medical marijuana prescribed to them, research is even more important. Some researchers have banded together to speak up on behalf of the scientific community. They are fighting for getting increased access to marijuana for study purposes. Researchers came together and published a letter in Science that put forth data showing that though marijuana has been shown to have a number of medicinal benefits, there is a massive lack of data in the cannabis field. Marijuana is currently a Schedule 1 drug, the highest classification of the five categories from the U.S. Drug Enforcement Administration’s (DEA). This means research from the federal government tends to focus more on potential dangers of instead of the potential health benefits. In an effort to reform marijuana research in the U.S., Sen. Elizabeth Warren (D-Mass.) and seven of other U.S. senators wrote a letter to the DEA in 2015. They asked for more research on the medical marijuana. The current classification of marijuana as a Schedule I drug indicates that the DEA believes that cannabis is a substance with the highest risk for abuse, like heroin and LSD, other Schedule I drugs. Moreover, the Schedule I classification means that that marijuana has no “current acceptable” medical usage as far as the federal government is concerned. 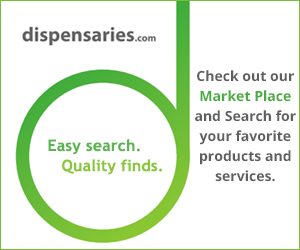 This plays a huge part in the availability of medical marijuana for research purposes. The letter to the DEA from the senators pointed out that millions of Americans can already have access to medical marijuana legally in their states. This makes it difficult to stand by the DEA’s classification that it has no medical usage. The DEA is in the process of making a decision about whether or not to reclassify marijuana. They responded to the letter from the group of senators with a letter of their own. The DEA did not specify whether or not they would reclassify marijuana, but they did say that a decision would be made by the middle of 2016.